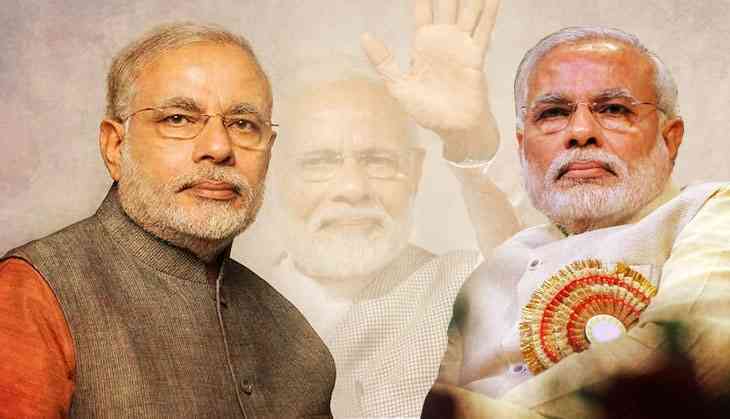 Prime Minister Narendra Modi turns 68 today and he has all his pre-planned list to celebrate his birthday. PM Modi is all set to celebrate his 68th birthday in his parliamentary constituency of Varanasi with around 300 children, including 200 from primary schools and the remaining from slum areas, on Monday. He will watch films with the children based on his life. PM Modi is on a two-day visit in Varanasi on September 17 and 18. He will offer prayers at the famous Kashi Vishwanath temple and address a public gathering. "On his 68th birthday, PM Modi will watch a 32-minute film 'Chalo Jeete Hain' with the schoolchildren. He is also likely to inaugurate several development projects worth crores of rupees," a senior official said. Children will present birthday cards to the PM who will offer sweets to them. “The PM will have a night stay at Diesel Locomotive Works (DLW) guest house where he will meet about 70 children of slum areas. The children are being taught by a group of 10 students of the Mahatma Gandhi Kashi Vidyapeeth (MGKV),” UP minister Neelkanth Tiwari said. On the occasion of the PM Modi birthday, Twitter is flood with warm wishes and love for the beloved leader. From Ministers to Common man all have showered their love on Twitter. Here it is. Bharatiya Janata Party greets the Prime Minister on his birthday. "On your birthday we pledge to take your vision, your mission - your dream of a #NewIndia forward. May your dynamism and indomitable will continue to inspire us," she tweeted. Sonowal while wishing the PM, wrote on Twitter that, Modi's "motivated and inspirational leadership has transformed the nation". Haryana chief minister wishes PM. Manohar Lal Khattar tweeted that, "May our country keep shining under Narendra Modi's leadership and guidance."